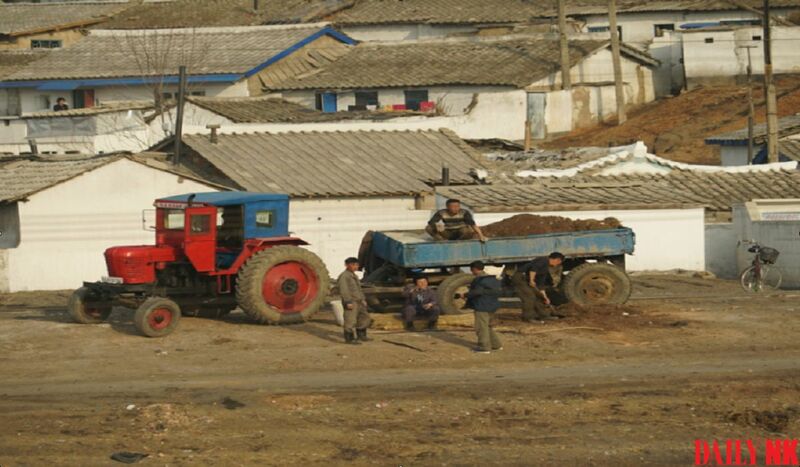 The North Korean government has again ordered its citizens to engage in a “battle for manure.” While most are unhappy with the forced mobilization every year, some residents in South Pyongan Province are responding more positively toward participation in the “battle” this year. The harvest in areas where the field management system was implemented was so successful that local farmers are reportedly trying to collect as much manure as they can – even more than their set quotas – so that they can reap a larger harvest this year. The field management system is an agricultural reform measure that shifted autonomy over agricultural products from the smallest units at cooperative farms to family units. A set proportion of the harvest is given to the state, while the rest can be kept by the farmers themselves. “The land used by work units and by individuals are managed together, and private farmers work really hard so they tend to reap higher corn and rice yields. People from other regions I talked to about this were really envious,” a separate source in South Pyongan Province reported. Kim Jong Un’s 2012 speech entitled “Establishing a New Economic Management System” sparked the implementation of the field management system. Although it is unclear how widespread the implementation of the system is nationwide, according to defectors, it appears to be expanding throughout the country.